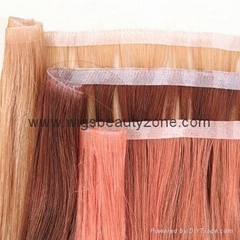 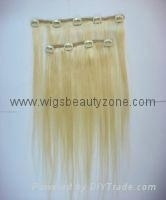 Different fresh color hair extensions,very beautiful,and very good quality,competitive price.Welcome to contact us. 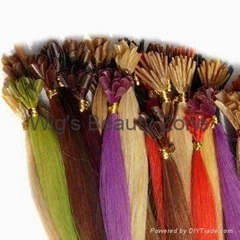 Can support fashion feather hair extension.like clip on hair extension or pre-tipped hair extension.They are very beautiful,and very good price.They were made by high tempreture synthetic fibre.If you like,welcome to contact us.please check the pictures. 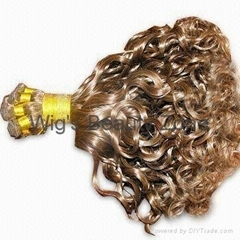 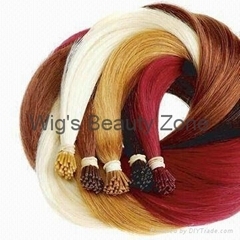 Human hair bulk are popular,it can use by your idea.Like you can use it to do hair extension,it can include all length,and all color,all texture.For the hair bulk,you also can do lace wigs directly.Also include natural hair bulk. 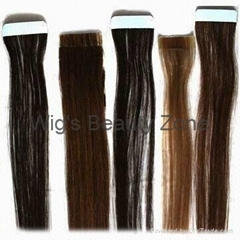 Human hair keratin extension,include I,U,V,flat tips,and the weight include 0.5g,0.8g and 1.0g.The minimum order is 1000 strands.The length usually is from 16" to 26",the color can include all the color.The texture also all textures,like yaki,straight,wavy and curly. 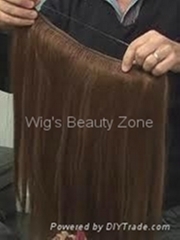 100% human hair weaving,it is different from the machine wefts,it is more thinner than the machine wefts,and easy to use,more natural. 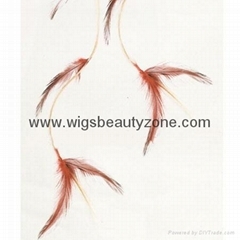 This is a new kinds of hair extensions,we called them feather hair extensions.Inclue human hair feather extensions,synthetic hair feather extensions and real feather extensions.If you are interested in,please contact us freely. 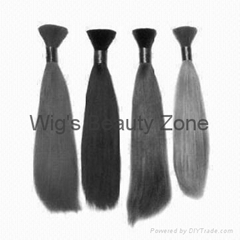 100% human hair.All of them are good quality,just follow different client's requests.Different color,style and length. 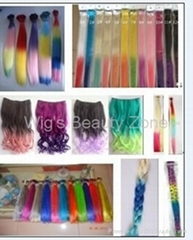 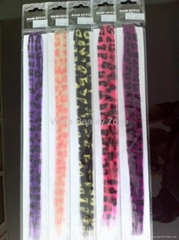 A kind of hair extension was made of 100% human hair,and also hand made.Can have different length,different color and style. 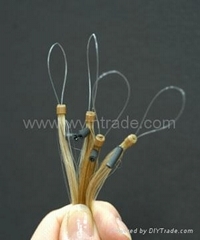 It is a small fish line ,and also a ring on the top,it is easy to use.